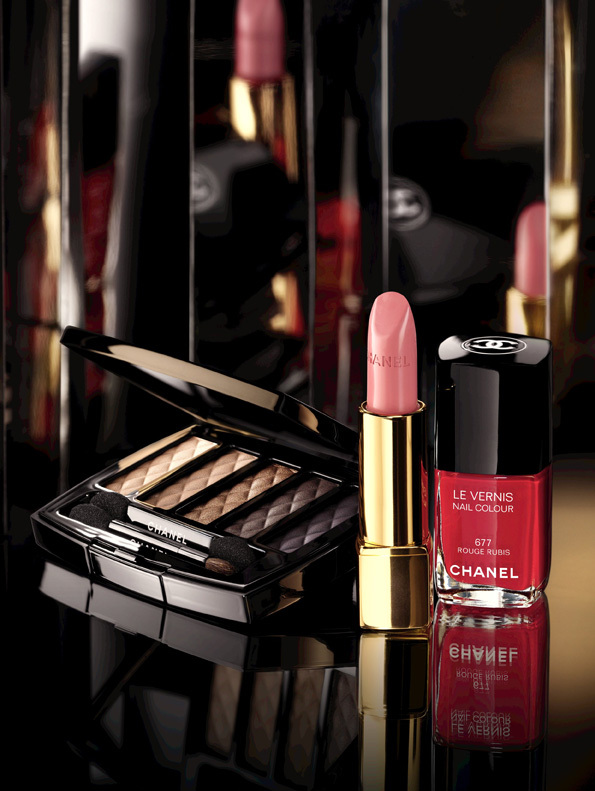 Holiday 2013: Collection Nuit Infinie de CHANEL. 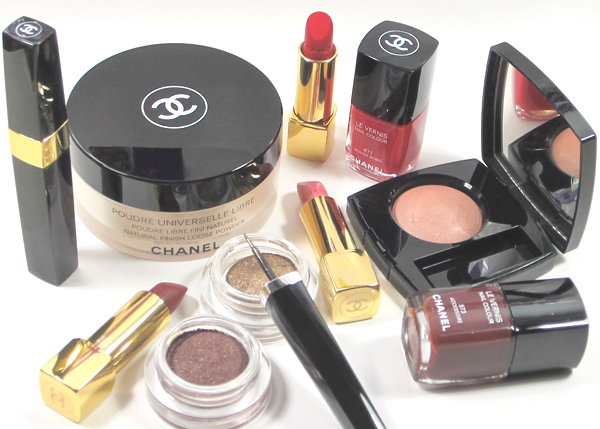 The CHANEL holiday collection is the ultimate in luxury. It is not just rich and bold, it is refined in every way possible. I look forward to this collection every year and find myself amazed at how beautiful each one is. This year is no exception. Just look how beautiful it is. Setting a captivating tone for Holiday, a new makeup collection expresses the magic and mystery of an endless night. The refinement of beige is emboldened by a sweep of bronze on the eyes. Deep ruby red lingers alluringly on lips, for a seductive invitation to the season. Experience the pleasure of intense colour and glamour that is revealed from within. The collection focuses around the eyes, particularly the stunning limited edition Ombres Matelassees Eyeshadow Palette, a beautiful metallic bronze liner and a sparkling mascara top coat, which together create a look that is not only perfect for the holidays, but for the entire winter season. The eyeshadow palette contains five shades, from a soft beige to a rich purple in both matte and pearlized formulas, that can be layered to create a variety of looks. I am reserving this collection for my best holiday looks. This limited-edition eyeshadow unveils a shade spectrum for the season’s most striking eye looks. 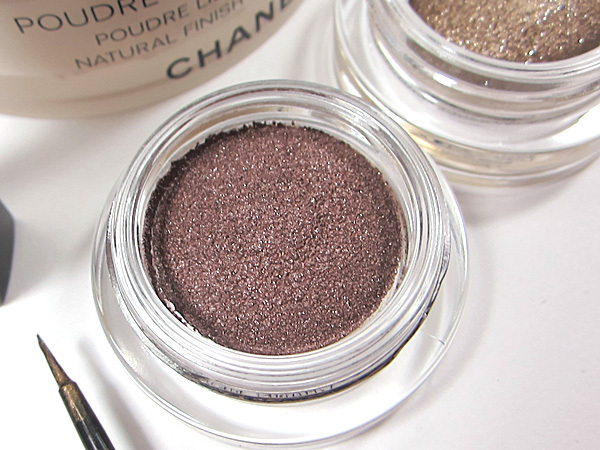 From soft beige to rich purple, matte and pearlized shadows create glamorous effects alone or offer endless opportunities for custom blending. The emblematic quilted motif of CHANEL embosses the silky shadows for an added touch of elegance. This top coat was designed to be worn either alone or over a black mascara. It is a beautiful shimmering bronze-platinum shade that catches the light as it enhance lashes. I like it over mascara for an extra special holiday look. Cheeks are flushed with a muted pink blush shade with hints of shimmer. This is perfect for either day or night and I've been wearing it since I received it. I think it is flattering for all skin tones. This glowing peach beige powder offers the perfect finishing touch that lights up the skin for a subtle glow. Not only do I like to dust this all over my face as a final touch, I dip it in a large shadow brush and dust it over my eyes after my shadow is finished to further blend out and give my shadow an airbrushed glowy look. 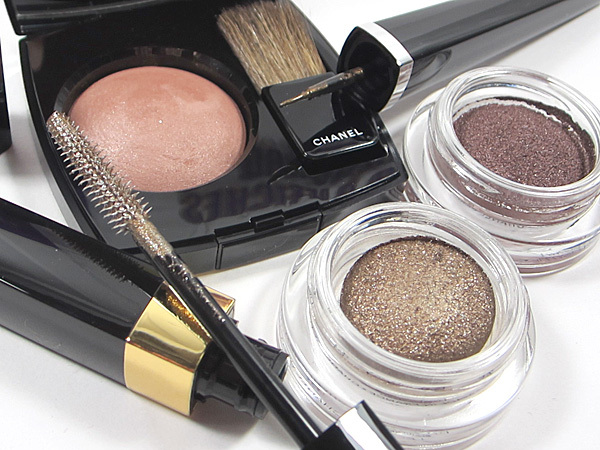 Two metallic tone, platinum bronze and silver purple, dress the lids with decadence. I am loving the platinum bronze and pair it with a vanilla matte shadow for a simple, yet understated elegant and easy eye look. For a bold eye look, this liquid metallic bronze shade enhances the eyes. I like to use it over a deep brown pencil to add just a hint of bronze as a finishing touch to a holiday smokey eye. From a delicate beige to a dramatic brown, lips reveal their powers of seduction. Bold but versatile these two red shades, both ideal for the season, they dress lips with allure. Nothing says the holidays more than a bold, matte red lip and these both do that in the most elegant way possible. Fingertips are ready for revelry in two gorgeous creamy holiday shades. Rouge Rubis will be on my nails througout the holiday season. The Collection Nuit Infinie de CHANEL is available at CHANEL counters and online at chanel.com now.